At the end of August 2015 the Peshmerga made a rare offensive move into southern Kirkuk. Several villages in the Daquq district were taken in an off and on series of attacks. Soon after stories emerged about the Kurds looting and destroying homes in the area, and several thousand people were displaced in the process. This was the latest example of demographic changes the Kurds are attempting to impose on the disputed territories of northern Iraq. On August 26, 2015 the Peshmerga attacked the Daquq district of Kirkuk. 14 villages were reported cleared on the first day. There was a pause, and then the offensive began again with another 10 towns seized on September 11, and then ten more on September 13. Then another break occurred before one more town was taken on September 22. As soon as the campaign started there were stories of looting by the Kurdish forces. Two Peshmerga officers told Iraq Oil Report that Kurdish volunteers were responsible. There was also a more systematic destruction of houses in the district. A Peshmerga commander said that homes in four villages were bulldozed. Another troubling trend was the Kurds not letting families that fled the fighting return. A Kurdish General was quoted in The National saying that residents were free to return to the cleared towns, but the paper’s reporter saw only empty villages on a trip through the district. The International Organization for Migration counted 1,805 families displaced from the area, which was over 10,000 individuals. Arab locals claimed that the Kurds were preventing them from returning. As usual the government forces are justifying their actions by stating that the areas are not safe because of explosives and they are afraid of IS infiltration and supporters. The Kurds have carried out similar actions in Diyala and Ninewa of property destruction and forced displacement. The Kurds have carried out few offensive operations this year. They are mostly happy to stay in their dug in positions and hold the land they have taken since last year rather than fight the Islamic State. When they do act it is to take more of the disputed territories, which they claim as historically Kurdish. Unless the Peshmerga have local allies, the trend is to destroy homes and displace the locals as they are considered IS supporters. It is also part of the Kurds’ larger plan to reverse Saddam Hussein’s Arabization program that removed thousands of Kurds from northern Iraq and settled Arabs in their place. By changing the populations of these areas they can create more facts on the ground that they are Kurdish and should be annexed to the Kurdistan Regional Government. The post-IS Iraq is much more important for Kurdish leaders than the current war, which is shown in actions like these in Kirkuk governorate. In July 2015 the Islamic State initiated its latest car bomb campaign in Iraq. Salahaddin has been a major focus of this new offensive with a huge amount of vehicle borne improvised explosive devices (VBIED) being launched there in August. Like in Anbar, almost all of these bombs are being used against the government’s forces, especially in the Baiji area, which the Islamic State has effectively used as a diversionary target for the last several months. Salahaddin however is not only a target of these VBIEDs but a base for further attacks in Anbar and Baghdad provinces. Salahaddin has seen the most car bombs in Iraq from June to August 2015. There were 50 VBIEDs in the governorate in June with 43 of them destroyed before reaching their target. That went down to 34 car bombs in July as IS began its new campaign and started hitting new areas of the country. Then in August they shot up to 188 VBIEDs with 173 destroyed. That was a total of 272 car bombs, more than Baghdad that saw 58 and Anbar that had 230 during that same period. Since June 608 of these types of bombs have been used with 44% of them taking place in Salahaddin. Almost all of the car bombs in Salahaddin have been used in the Baiji area, which is in the northern section of the province above Tikrit. From June to August 6 VBIEDs were launched against the Samarra area in the south, 10 in the Tikrit district in the center, 13 in other locations, and 236 in Baiji. The refinery in that last district was heavily contested after the fall of Mosul and Tikrit in June 2014. IS originally wanted to capture the facility to use in its oil industry, but that proved impossible as Baghdad constantly sent reinforcements there. By early 2015 IS decided to use the district as a diversion from its real focus, which was Anbar. From April to May the militants seized the largest amount of the facility to date, and then the day it seized Ramadi it began blowing up the refinery and retreated. After the Anbar offensive began in July IS again launched heavy attacks into Baiji seizing several sections of the town and surrounding villages, which again succeeded in bringing in government reinforcements. IS has perfected small and medium sized infantry attacks beginning usually with a mortar barrage, then a truck or bulldozer bomb that is used to break through government defenses such as berms, usually followed by suicide car bombs that attempt to infiltrate into the security forces and Hashd’s positions, and then finished off with an infantry assault. The intensity of this fighting was shown in two stretches from August 15-17 and August 22-25 when 115 car bombs were used in Baiji with another 28 on August 20. The Islamic State appears to have four main areas it produces VBIEDs in Salahaddin. One is obviously in Baiji. IS holds many of the small towns in the rural areas outside of the refinery, which are likely used to put together the bombs. The Hamrin Mountains in the east is another source of these bombs, which are likely sent out to hit the Tikrit and Samarra areas. A third is probably around Samarra where IS continues to carry out hit and run attacks and bombings. Finally, the fourth area is in the south around Taji and Tarmiya. These camps are used to send car bombs into neighboring Anbar and Baghdad. Iraq’s Baath Party began as one of many Arab nationalist groups vying for power in Iraq. After its first attempt at power failed in 1963 it was finally able to assume control over the state in 1968. It went from a small minority to including a rather large share of the population. This expansion was fueled by the Iran-Iraq War in the 1980s when the Baath transformed itself from a political group into one that ran social organizations, assisted the public to access services, while running the government as well. This moved into all sectors of society was facilitated by a massive recruiting program especially into areas of the country where the Baath were not represented such as amongst secondary students and women. Kanan Makiya in his famous book Republic of Fear wrote about all of the punishments and coercive techniques Saddam Hussein used to rule. New analysis based upon captured Baath documents such as that of Professor Joseph Sassoon and Professor Dina Rizk Khoury showed all of the rewards and incentives that the party also used to stay in control. That didn’t mean that repression was not used, but that there was much more to running Iraq for 35 years then just fear. The Baath Party went from obscurity to a corporatist, semi-fascist organization that attempted to dominate every aspect of life in Iraq. In 1963 there were only around 3,000 party members out of an estimated population of 7.8 million people. That compared to 2002 when the Baath had 69 branches across the country, 612 sections, 3,787 divisions, 32,852 cells, 76 secretary generals, 1,027 branch members, 6,128 section members, 45,537 division members, 223,662 active members, 254,081 apprenticed members, 27,242 candidates, 1,113,211 supporters, and 2,328,080 sympathizers for a grand total of 3,999,044 Baathists. Out of a population of 25 million, the party encompassed 15.6% of the people, a much higher percentage than communist parties in the Soviet Union and Eastern bloc during their heyday. The elite of the party who made decisions were around 2.4% of the total Iraqi populace, while active members were 4%. Many of these members joined during the 1980s when membership grew 140% from 1986-2002. This was due to a huge recruiting drive by the Baath to be represented in each sector of society so that they might be monitored and controlled. The impetus for this expansion was the Iran-Iraq War. On September 22, 1980 Iraq invaded Iraq in what Saddam believed would be a short war. On September 28, Tehran refused a cease-fire offer from Baghdad destroying the initial plan to seize territory and then end the war. The long and bloody conflict that developed afterward shifted the entire focus of the Baath Party. 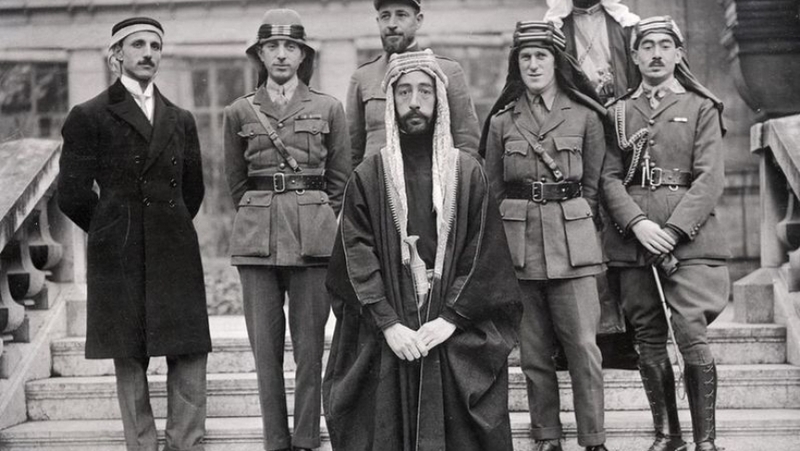 Before it was based upon an Arab nationalist and modernizing ideology. The war made it concentrate upon managing the security of the country through both military and civilian means. That included maintaining support for the war, monitoring dissent and public opinion in general, watching over the military, hunting down deserters and draft dodgers, as well as delivering goods and services. The population came to rely upon the Baath to gain access to the state making it far more then just a political party. 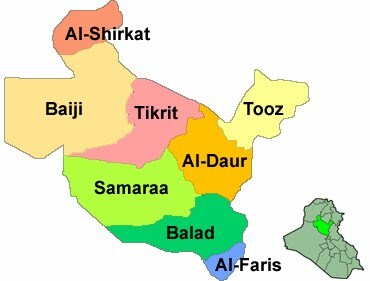 From 1985-1989 Baath offices multiplied across Iraq as a result of its new responsibilities. The party tried to recruit new members and build new officers in areas where it was weak before. 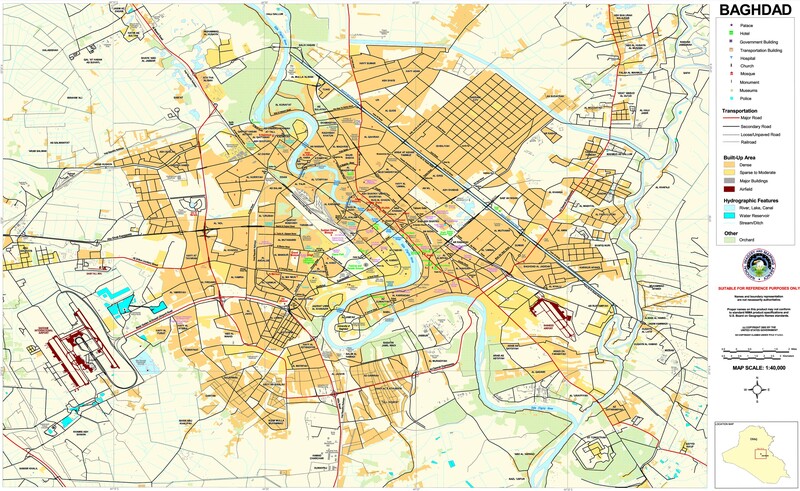 The Baath bureau in Baghdad for example grew to 19,274 members by 1988 or 5% of the population. It also moved into schools to gain young supporters. From 1987-88 of 95,477 male secondary students in Iraq 60.8% were brought in as supporters, 20.5% as advocates, and 4% as advanced advocates. This was the basis for the party’s high representation amongst the public that it achieved by 2002. 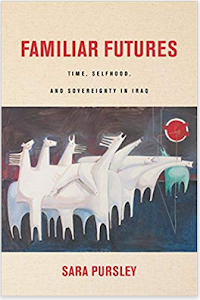 During the Iran-Iraq War the Baath launched policies to interact with the public called “cohabitating” and “perpetuating ties” which were aimed at both monitoring the public for potential dissent as well as addressing their needs to maintain their support. One of the main ways the Baath was able to achieve this was via the various social committees it created such as the Committee to Oversee the Affairs of the Martyrs and the Missing and the General Federation of Iraqi Women. The former highlighted the new roles the Baath was expected to perform during the war as one of its main jobs became helping the families of dead and captured soldiers work their way through the government bureaucracy so that they could receive benefits. The committee also responded to public complaints about red tape to get several laws passed to help out with issues such as inheritance, which was a major problem for families of deceased soldiers. The General Federation of Iraqi Women played a similar role as well as helping to improve the lot of females during the war, which was promoted by the Baath as part of its modernization program. The Federation pushed for more opportunities for women in jobs, government positions, and within the military. By 1987 850,000 women were in the federation with branches in 62% of the country’s neighborhoods. These groups and others made visits to families across the country several times a month. They also conducted surveys to hear people’s concerns, meet their needs, and maintain surveillance of them. This all facilitated the Baath’s expansion into Iraqi society that it felt was a necessity to win the war and maintain control over the country. During the 1980s the Baath Party was both a tool of repression and part of the social welfare state. For example, it ran counterinsurgency campaigns in southern Iraq to hunt down the huge number of deserters that grew as the war dragged on. At the same time, it became the way for the people to receive services and benefits, which were all crucial to keeping up the social order and morale during the war. Saddam wanted to control all aspects of the country and that’s what he used the Baath Party for. It became a quasi-fascist and corporatist instrument for ruling Iraq. As Professor Khoury wrote in the 1980s everyone and no one was a Baathist as it became the main means to interact with the state whether people believed in the party or not. For the last five weeks the number of attacks have remained relatively stable in Iraq. This is another sign that the war in Iraq has largely stabilized and become deadlocked. The government is on the offensive in several parts of Anbar province along with Salahaddin, but showing mixed results, while bombings continue unabated in Baghdad. The rest of the country remained relatively quite. Musings On Iraq counted 122 security incidents from September 15-21, 2015. That was lower than the previous weeks, which witnessed 144 attacks September 8-14, 139 from September 1-7, 136 from August 22-28, and 135 from August 15-21. 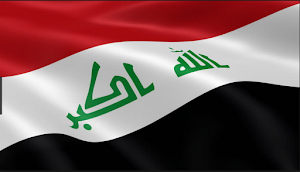 Baghdad led the country with 50 attacks, followed by 21 in Salahaddin, 18 in Anbar, 16 in Ninewa, 8 in Kirkuk, 5 in Diyala, 3 in Babil, and one each in Kurdistan and Wasit. There were 323 deaths and 488 wounded reported in the press during the week. That broke down to 2 Sahwa, 20 members of the Iraqi Security Forces (ISF), 55 fighters from the Kurdistan Workers’ Party (PKK), and 246 civilians killed, and 2 Hashd al-Shaabi, 5 Sahwa, 44 ISF, and 437 civilians injured. Baghdad had the most fatalities with 88. After that there were 82 in Salahaddin, 55 in Kurdistan, 45 in Ninewa, 30 in Anbar, 9 in Diyala, 6 in Babil, and 4 each in Kirkuk and Wasit. Overall casualties have crept up slightly from 699 August 15-21, to 638 August 22-28, to 637 September 1-7, to 762 September 8-14, and 811 September 15-21. Since losses are so underreported due to government silence it’s impossible to tell whether this was a real increase or just better coverage. The Anbar offensive that started on July 13 continued to show mixed results. The government forces are stuck in the rut of clearing towns and then having to go back into them again and again, something that the current campaign as supposed to solve, but hasn’t. The third week of September was a perfect example. On September 13 Husaiba that is to the east of Ramadi was declared cleared for the fifth time, and then a new operation started on September 15. The joint forces have been stuck on East Husaiba as well, which was said to be freed on August 30 for the third time, and then the sixth operation there started on September 16. September 17 the joint forces went back to Shihabi in the Fallujah area after it was cleared on July 14. September 17 the sixth operation since the start of August began in Khalidiya Island, which is in between Ramadi and Fallujah. 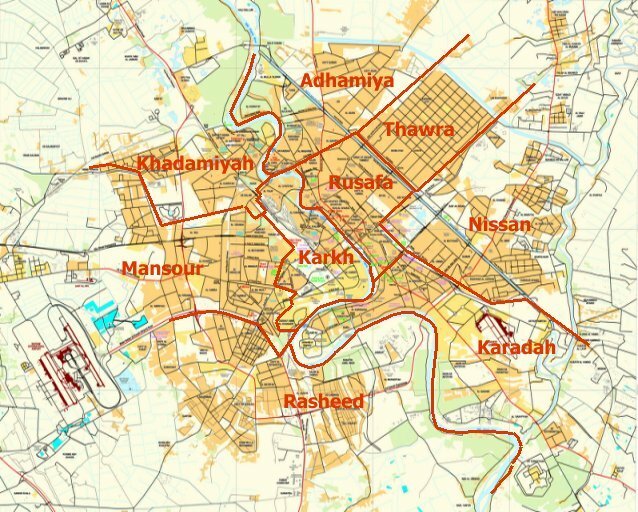 The government forces also had to go back into southern Ramadi’s Tamim neighborhood on September 18, which was freed back on July 30, 5 Kilo that is right outside of the city on September 19 after it was freed a month before, and Humaira also south of Ramadi on September 19 when it was said to be cleared on August 8. The joint forces have also been drawn into sweeps through the Haditha district during the week, which is in western Anbar, and Amiriya Fallujah in the east, while continuing with its attempt to re-take the Garma area. So far the Anbar offensive has suffered from three major shortcomings. First, there is a massive manpower shortage. After Ramadi fell in May the Hashd complained that they were being kept out of the province, and that if they were allowed in they would rectify the situation. Unfortunately the Hashd have not committed many fighters. 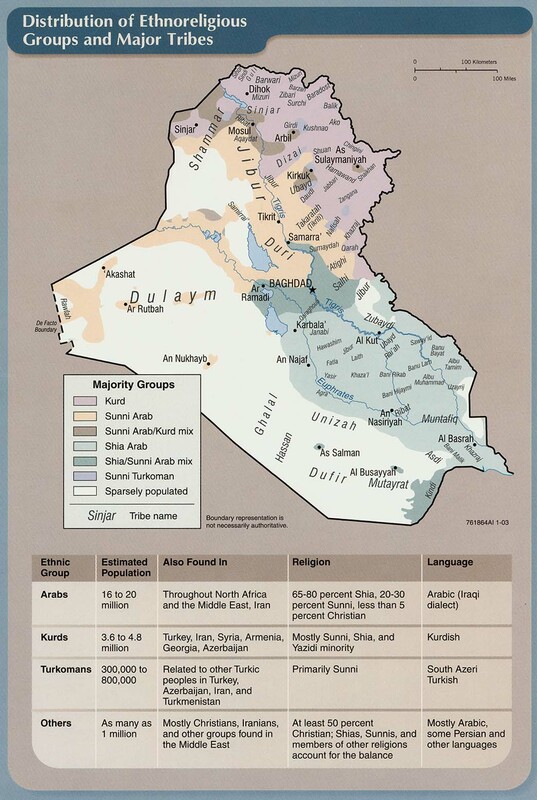 There are approximately 10,000 total men focused upon Ramadi and Fallujah compared to 30,000 that took Tikrit. 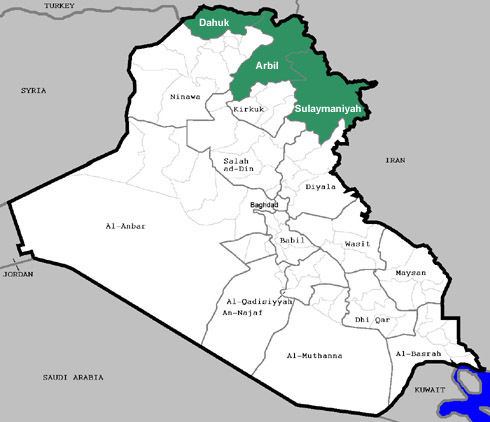 Part of the reason for the shortage is the fact that the government continues to give into diversionary attacks by the Islamic State in other parts of Anbar and Baiji in Salahaddin, which spreads out its forces. The third issue is the lack of unity of command. Many Hashd forces act independently of Baghdad. For instance, the government wanted to take Ramadi after it fell, but then IS posted a video of an execution of a soldier from Sadr City in Fallujah, and the Hashd unilaterally decided to take that area instead. Now the joint forces are spread out across the entire corridor between the two cities. That is going to drag out the operation for several more weeks and even months when a quick strike on Ramadi back in May might have been able to re-take it. Shootings and bombings continued throughout Baghdad. There were 15 incidents in the east, 14 in the south, 10 in the north, 5 in the center, and 4 in the west. That included three car bombs, one in the south and two in the east, and three suicide bombers, one in the center, and two in the west. IEDs and sticky bombs were the main form of violence. Diyala had very few incidents during the third week of September, with just five, but included another attempted car bomb. As part of IS’s new car bomb campaign it has tried to set off a vehicle borne improvised explosive device (VBIED) at least once a week in the province. 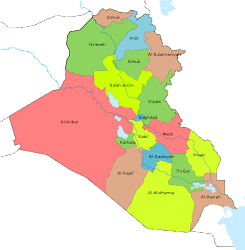 Otherwise, IS is using Diyala to carry out attacks upon eastern Baghdad. Turkey conducted another wave of air strikes against Kurdistan. On September 15 Ankara claimed to have killed 55 PKK fighters as a result. There were more executions in Ninewa. The Islamic State killed 45 people in Mosul, Qayara, and Hamam al-Alil during the week. That included an imam, a former candidate, two journalists, four mayors, and five police. IS also blew up 21 homes belonging to Christians on the Ninewa Plains, and made one attack upon the Kurds in the Sinjar district. The fighting in Salahaddin’s Baiji district remains inconclusive. Propaganda is so heavy that progress is very difficult to discern there. Politicians, the security forces, and the different elements of the Hashd all make their own separate announcements about Baiji, which are often contradictory. That’s how 80% of Baiji can be declared freed in the middle of August and then a few days later it goes down to 50% and then up to 60% and then 70% in two days by the middle of September. Similar numbers have been given for the Baiji Refinery going from 70% controlled in the middle of August, down to 50% and then up to 60% on September 18. The government forces have also refocused upon the IS stronghold of Siniya, which is just outside of Baiji. On September 1, 5 and 19 the town was said to be surrounded, and then miraculously cleared in between all that even though fighting is still going on there. Again, the lack of unity of command causes all of this confusion about what is actually going on in the province not to mention that the district has no strategic value anymore. Instead, IS is using it to hold down government forces and distract from Anbar. Finally, one of the only good bits of news coming out of Iraq was a dramatic decline in car bombs from September 15-21. There were just 10 total VBIEDs launched during the week, with half of them being destroyed. That compared to 34 the week before, and 31 the first week of the month. The decline might just be a temporary dip since IS’s bombing campaigns usually last several months, and this is only the third.